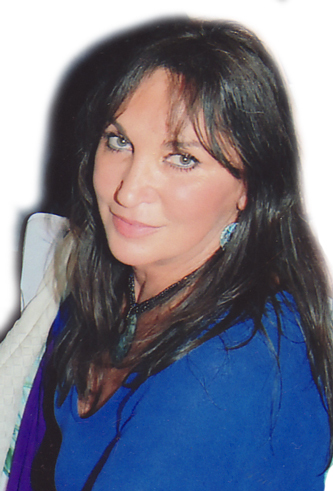 Anya Petrovic is the founder of Tesla Metamorphosis®, is internatipnally recognised teacher, healer and author. She is a Professor of World Literature, with Post Graduate Diploma from the Australian College of Applied Psychology. Anya won three October Prizes for her poetry and her scientific work in literature. Anya’s life has completely changed since ‘Tesla happened to her’. She travels the world to teach seminars and give lectures. Anya has presented at the International Tesla Science Conference in Philadelphia, the International Nikola Tesla Congress in Belgrade and at the B.C. University in Canada. She has appeared on TV and radio shows in Australia, New Zealand, United States of America, Italy, Canada, Germany, Croatia, Serbia, Slovenia, Macedonia, Montenegro, and Switzerland. Her heart is dedicated to making Tesla Metamorphosis available to as many people as possible. "There are no miracles. There are only phenomena that we might not be able to explain and scientifically confirm at this stage, so some people call them “miracles”, states Anya. On the quest to understand miracles, this book reveals new knowledge. The answers are found in pioneering scientific research, and also in ancient wisdom. There are some unique phenomena connected to Tesla Metamorphosis®, the healing modality which attracts great interest because of the amazing healing results, and the effect of Tesla Waves on the evolution of human consciousness. The subject of this book is expanded to understanding the healing phenomena in general, merging science and spirituality. Personal experiences are presented with childlike honesty and a genuine sense of humour. 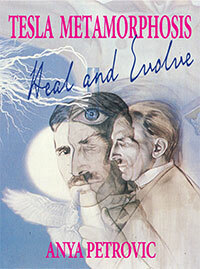 The spirit of Nikola Tesla is imbued throughout this book, giving it a new dimension. Tesla’s ingenuity is in his spirituality.